Yesterday evening, as the sun was sinking low in the sky, I wondered if I was far enough east to see fireflies. Half an hour later, I pulled back the curtains in my room to stare at the corn – it’s mesmerizing, I tell you – and was delighted to see winking amber lights drifting lazily across the field. Lightning bugs!! I hadn’t seen any since I was a kid, so I literally dashed outside to watch them, bringing along my camera in a futile attempt at capturing a pic (this didn’t work). I’m such a dork. I grabbed one and let it crawl across my hand. Maybe I’m overly sentimental, but I think fireflies are magical. They do not exist west of about Kansas, sadly, so seeing them again was a big deal. It pretty much made my evening. I have fond memories of visiting my grandmother in New Jersey during many a summer growing up. My brother and I would catch fireflies, put them in a mason jar, poke a few holes in the lid, and – voila! – instant nightlight in the bedroom. I have a particularly vivid memory of a warm summer night right here in Ohio; I was sleeping over at a friend’s house in a backyard tent and was wide awake, so I crawled out and took a walk through a deserted field next to his house. The sky was ablaze with a thousand tiny flickering lights, and I ran through the field that night, feeling young and free and mesmerized by the fireflies. It was a moment in time I’ve never forgotten. Ahh, sweet nostalgia. Earlier, at the recommendation of the hotel clerk, I drove to a local Mexican place called Fiesta Ranchera. I was craving some authentic, restaurant Mexican food, and though I had my doubts about Bloomington, Illinois being able to pull off this feat, it turned out to be the best Mexican food I’ve had in ages. Go figure. For some reason, it’s hard to find a really good Mexican place in Portland. I had carnitas tacos and washed them down with a great, big margarita that gave me a nice buzz. I felt I was entitled to a nice dinner after nearly a week on the road. I slept pretty well, too. Good thing – I needed it. The night before I only managed four hours, and I haven’t really gotten more than six on any given night this whole trip. I’m wired when I arrive in a new destination, and often I have sprung forward an hour, so I don’t feel like going to bed. Last night, though, I got about seven hours and felt quite refreshed this morning. 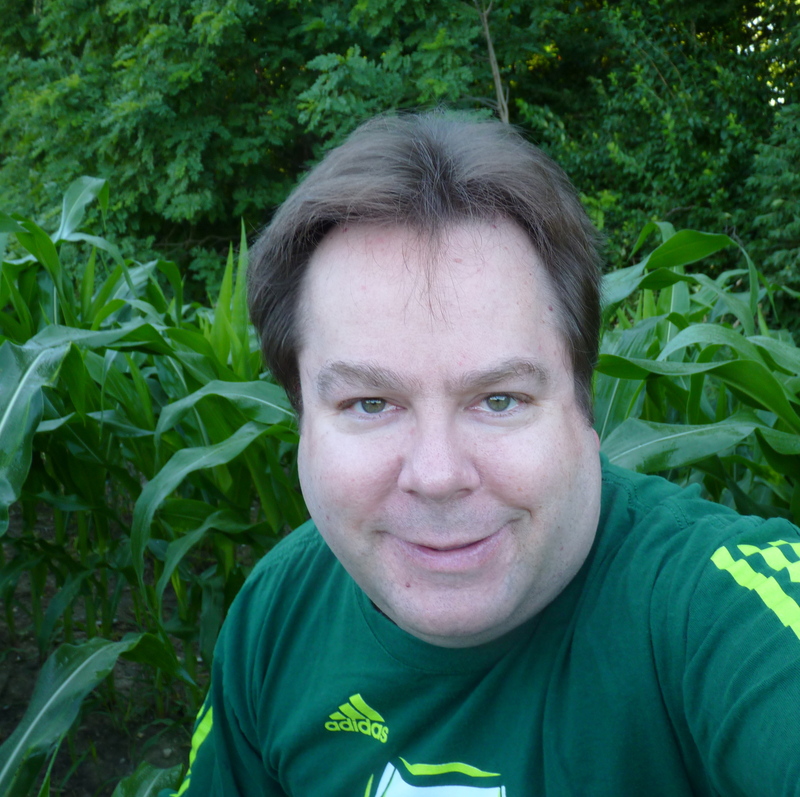 After playing in the corn for a little while (seriously), I hit the road. Driving through the heartland pretty much demands listening to John Mellencamp, so I put on a CD I made up of most of his big hits. “Pink Houses” – which has been on my mind this whole trip and perfectly sums up the journey (ain’t that America somethin’ to see; ain’t that America home of the free) – was fading into “Authority Song” when I crossed the Indiana border, Mellencamp’s home state. I cranked the music even louder and watched the endless miles of corn fly by as I jumped an hour into the future. Eastern Time Zone, baby. I’ve met ’em all now. And then, the moment I had been waiting for happened. In the town of Brownsburg, IN – a few miles before Indianapolis – I saw a sign for the next exit advertising a White Castle. 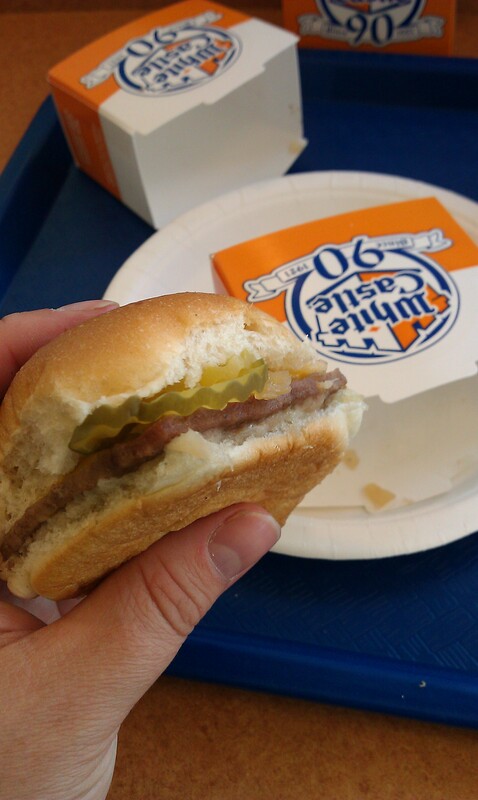 That was one of my biggest goals of this trip: to try White Castle’s famous sliders. I’d never been there before, and they’re such an iconic part of pop culture, I’ve been dying to try them. I mean, if Harold & Kumar went to all that trouble just to satisfy a craving, I figured they had to be good. I walked into the restaurant and pretended to act nonchalant as I ordered my first-ever sliders, but inside I was pretty excited. (Again, such a dork. I know). When my food arrived, I dug in. Verdict: awesome! I loved them. The patties are tiny squares of beef, and the burger is simple: just onion, pickle and cheese. But the bread tasted fresh and soft, and they’re pretty damn good. There was a Wendy’s right next door and people were streaming in there for lunch. I wanted to scream at them, “Are you crazy?! White Castle’s right here! You can get Wendy’s anywhere! !” People just don’t appreciate things they take for granted, I suppose. Some of my Facebook friends were less than enthused when I posted about White Castle. Maybe the reality is you always want what you can’t have? After my White Castle fix (I’ll admit, I went back for a few more “for the road”), I was back on the interstate and driving through Indianapolis. Literally, as there was major construction going on and detours through town. Indianapolis is one of the few places I was not excited to see; I’ve actually been there many times over the years, as a company I used to work for had their U.S. headquarters there, and would send me for frequent business trips. I toured the Speedway once – that was cool – but otherwise, I don’t find Indy very appealing. It’s just big and busy and kind of seedy in areas. And the highways are so confusing, I took a wrong turn even though I was closely paying attention to Maggie and ended up headed for St. Louis briefly. Oops. So I circled partway through town and got back onto the right freeway. 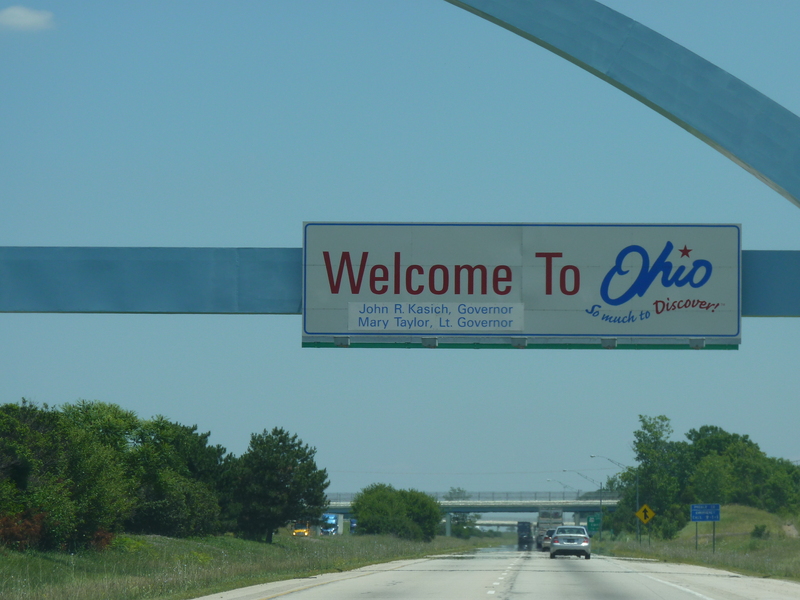 And before long, there it was: Ohio. A smile lit up my face as I drove past the state line. I had returned to the happiest place of my childhood, 31 years later. All because I watched a movie a couple of weeks ago and was inspired to revisit. Dayton was maybe half an hour further, and when I arrived downtown, I was greeted with…road construction. I swear, it’s the bane of my existence this trip! The exit I was supposed to take was closed, so I detoured onto another freeway, only to find that exit closed. I don’t know what I’d have done without a GPS on this trip! It’s been a lifesaver. I haven’t even glanced at a paper map once. I circled around, backtracked, and finally found my way to my motel. I only reserved two on this whole trip – Rapid City and Dayton – and as soon as I walked into the lobby, I knew I had made a mistake. First off, I waited there for five minutes before somebody came along to help me. Then, she barely spoke English and I had trouble understanding her. She gave me my key, I grabbed some bags, walked upstairs, opened the door – and was immediately assaulted with the stench of cigarette smoke. I gagged, it was so overpowering. And the room was by far the smallest of any of the others on this trip; I felt claustrophobic inside. I called down to the front desk to request a nonsmoking room, but they didn’t have any available. Screw it, I said, and walked back down to the lobby to cancel my reservation. I didn’t even know if I could, but at that point I’d have taken a $50 loss just to find a better place. Fortunately, you have half an hour to change your mind. Maggie told me there was a Day’s Inn four miles away, so I headed over there. Though it looks a little crappy from the outside, it’s in a better location: right next to Wright-Patterson AFB. And the room is spacious and nice inside, a far cry from the other place. Best of all, it’s even cheaper: when I mentioned AAA, they knocked $10 off the price, so I’m only paying $39 a night. NOW I’m beginning to save money on motels! Plus, I only had to gas up once today. My childhood home is 3.8 miles away. I was tempted to go check it out today, but that’s kind of the culmination of my whole trip, and I’d rather save it for tomorrow. It’s going to be a very special moment and I don’t want to feel rushed. I have a friend named Laurie who I have known for more than five years now; we used to write on the same online journaling site, and got to know each other through our posts. We have a lot in common: an Ohio connection, we’re the same age, both divorced, both parents, both Whose Line Is It Anyway? connoisseurs, and we’ve both had dating “adventures” that – trust me – you simply wouldn’t believe. Ahh, if I had the freedom to write about those…but, anyway. We’ve helped each other out through some difficult times, and pretty much know one another’s deepest, darkest secrets. I just always figured we’d be online friends but would probably never meet, since we were thousands of miles apart, but then suddenly here I was in Dayton, about an hour from her home in Columbus. How could we not? Tonight, she and her son, Neil drove down to visit me. It was hot, and the A/C in her car wasn’t working, so she practically collapsed into a chair next to the air-conditioner upon arriving, while her son entertained himself mostly by jumping up and down on the bed. There was nothing even remotely awkward about seeing her; we chatted easily, like two old friends, which is pretty much what we are. After awhile the three of us walked over to the Bob Evans next door for dinner (I got a chicken pot pie that has been one of the highlights of my trip, and Laurie ordered breakfast), where the excellent conversation continued. We hung out for awhile longer back in the room, where Neil decided I was a pretty likable guy and stretched out beside me on one of the beds (mom was on the other) while listening to music on an iPod. It was getting late, so eventually I walked them out to their car and we said goodbye. Getting to meet a longtime friend in person has been a nice bonus on this trip! White Castle - finally! My first time ever. Brownsburg, IN. Good things come in little packages. This is why I'm not a huge fan of Indianapolis. Did not know they still had White Castle. When I was a kid they were five for a dollar. Gun shop – no wonder Indianapolis has such a high murder rate just like Miami with gun shops. But hey, it the building for lease or are the guns? New marketing concept “Renta-Gun-Today”? Ha! 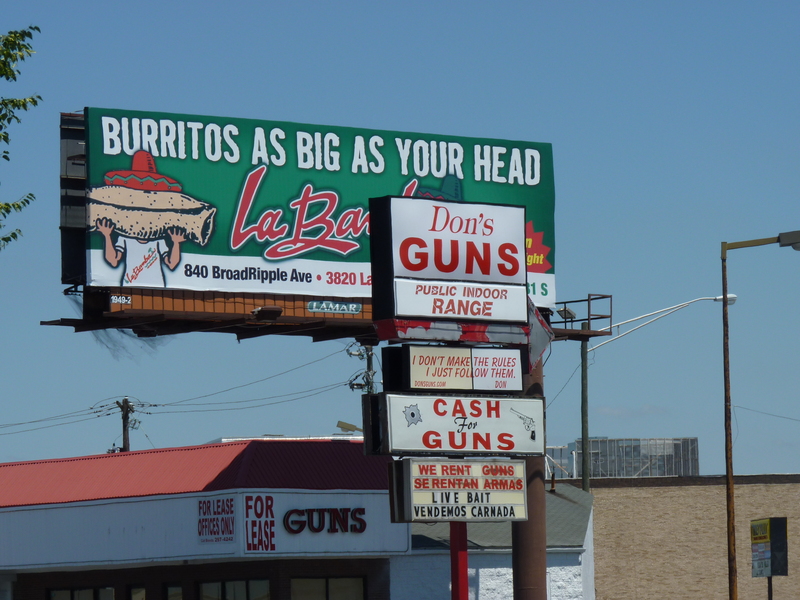 Good eye…it does look like they’re advertising guns for lease! Murder somebody, return it the next day, and you’ve properly disposed of the weapon, huh? Wow–I didn’t know there were no fireflies further west than Kansas. How interesting! And–Lordy–White Castle–I hate those slider things! But I’m glad you enjoyed them! I wonder how they will affect your digestive system. Hate to warn you, Mark–but it may not be pretty! Yikes! Good luck exploring your childhood home tomorrow! I had colleagues in MA and every time they come down to NJ, they would need to make a White Castle run… even if they’d just been served dinner they couldn’t pass them up. Though they always report… um… paying for it later. Which is why I have never bothered to try White Castle (cough cough ratburgers cough) and would always choose the Wendy’s first. Hope you’re still feeling find post-WC and that tomorrow’s culmination is all you hope for! I feel fine, and I’m excited about tomorrow. Got a long day ahead of me…and my only full day here. I plan to make it count! Yep. The sign says “We rent guns”. And again in Spanish. Be careful with White Castle, Mark. To the uninitiated, the sliders can have a very powerful impact, Don’t venture far from a restroom. Just sayin’. No way, you’re not a dork at all, because I felt the same way when I first moved back east and saw my first lightening bug (because they don’t have them in Florida). I was jumping up and down like a little kid! HA! Yup….I use to do the same thing, Mark! LOVE White Castle burgers! I could eat FIVE of them! Yaaaaaaaaaaaaay…you’re there!!!! Have a great time, bud! I’m glad you “get” me, Ron! Sometimes we sound like two peas in a pod. But, only 5 sliders? Really? You can do better than that, my friend – don’t sell yourself short! I’m really enjoying your trip! 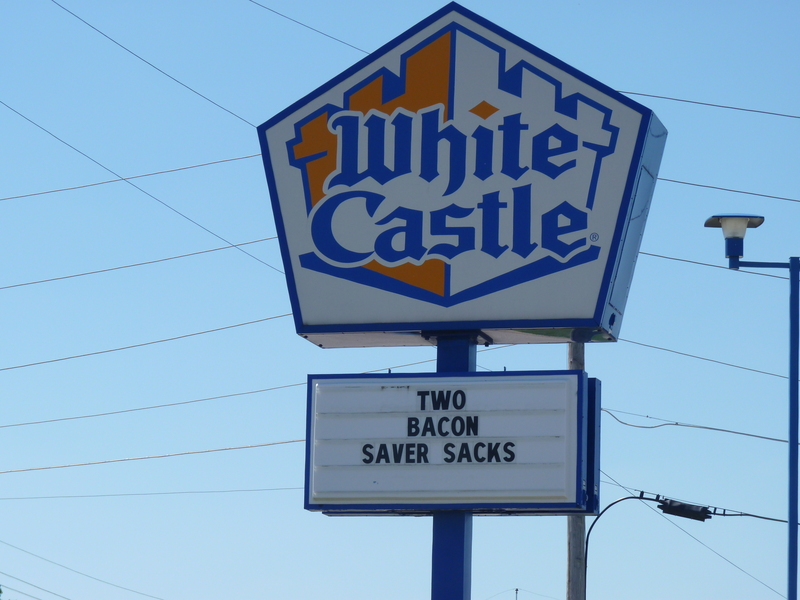 I’ve never had White Castle either, but I have to admit…it would’ve been sooo much cooler if you’d eaten it with a spork! Actually, YES – there was a sombrero on the wall. I almost got up and walked out. But what do you know? They proved to be the exception to the rule! Yay…you made it home…well…you know what I mean. Enjoy your stay Mark!! Stay safe! It really did feel like coming “home”! I miss fireflies. We used to catch them and tear the light-up part off the poor bug and stick it to our fingers like a glow-in-the-dark ring – how gross is that? We would swat them in the air so that when they fell to the ground, there’d be a streak of lightning. Mark–I am serioulsy enjoying my vicarious road trip with you. be safe out there and continue to have a blasterina! Leave it to you to coin a cool new word to describe my experiences, Jane! I’ve really enjoyed reading your vacatoin blog. It’s nice seeing parts of America I haven’t seen before. I’ve only seen fireflies in the movies. Would love to see them in person. I definitely have to go to the Spam Museum. Enjoyed your Mt Rushmore and Surf Ballroom pictures. My oldest brother who will be 65 this year was a big fan of Buddy Holly and even the glasses he wore looked like Buddy Holly’s. He was pretty choked up when he died. I wasn’t even born yet, but I really enjoy his music and have seen the movies about their lives. It’s pretty sad they were great guys. My other brother raves about white castle sliders too. 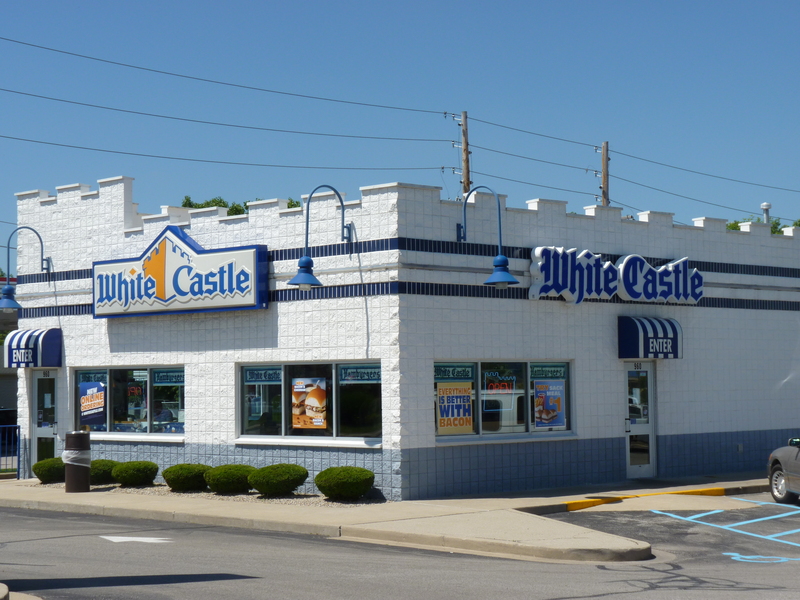 I haven’t been anywhere that is near a white castle; will have to look out for one on my next trip to the US. Nothing compares to seeing fireflies in person, Theresa. It’s magical, watching them blinking as they fly through the air all around you. Love ’em!